Welcome to Year 1! Here are the class charters that we created at the start of the year! Science Investigation- Which of the Three Little Pigs Houses is the Strongest? 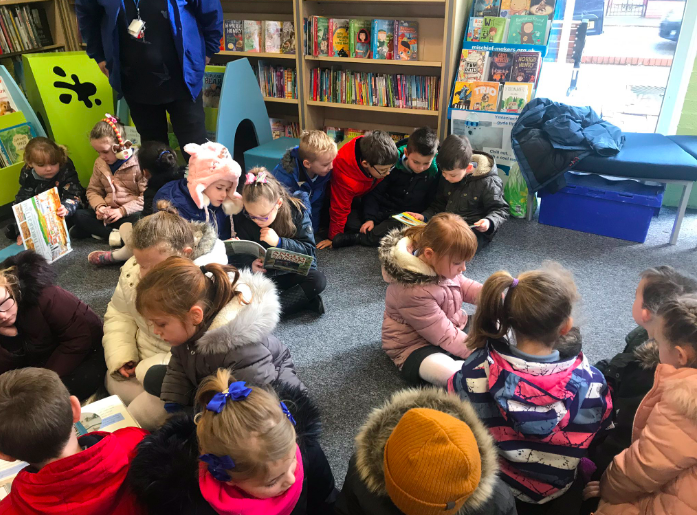 Today Year 1 joined Year 4 in the Reading Cafe, to take part in fun reading activities, based on some of our favourite story books! On Thursday 21st February the day had finally arrived for Year 1 to celebrate Doli Glwt's party. 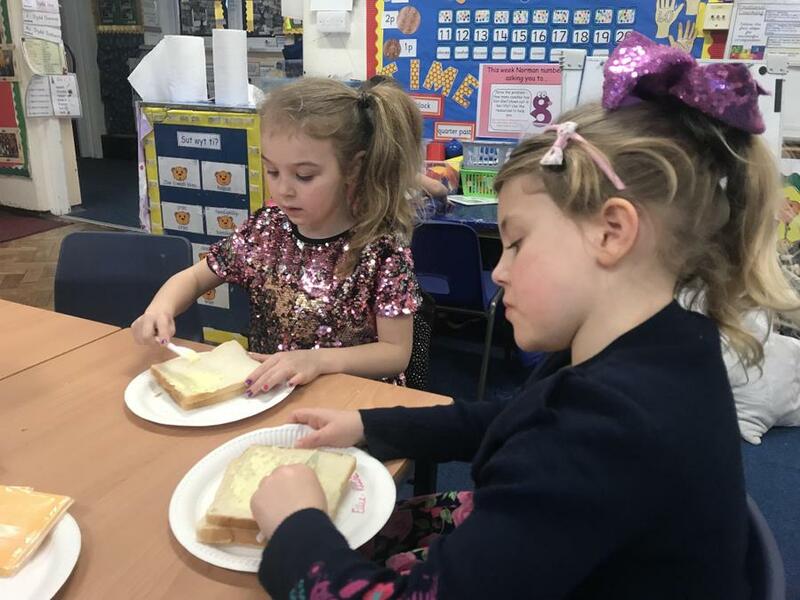 The pupils had been very busy sending out invitations, making cards, creating repeating patterns on their wrapping paper, making decorations, weighing and sorting presents, creating shopping lists and using them to buy food for the party and making some of the party food. They were soon ready to put on their party clothes and celebrate all their party planning in style! What a great job you did Year 1 - Doli Glwt was very pleased with such a wonderful party. Da iawn! 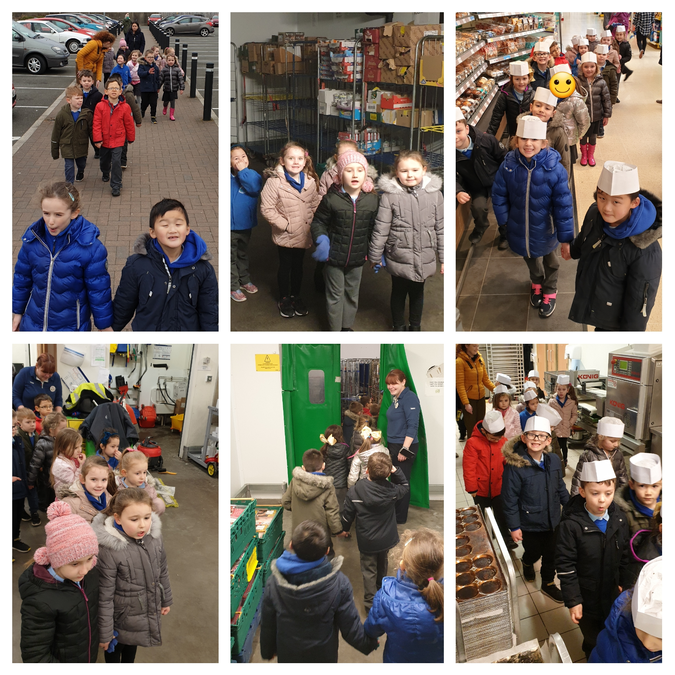 On 19th February, Year 1 visited Tesco to look for Fairtrade items, learn about how Tesco works within our community and do their shopping for Doli Glwt's Birthday Party! Thanks Emma for showing us around! 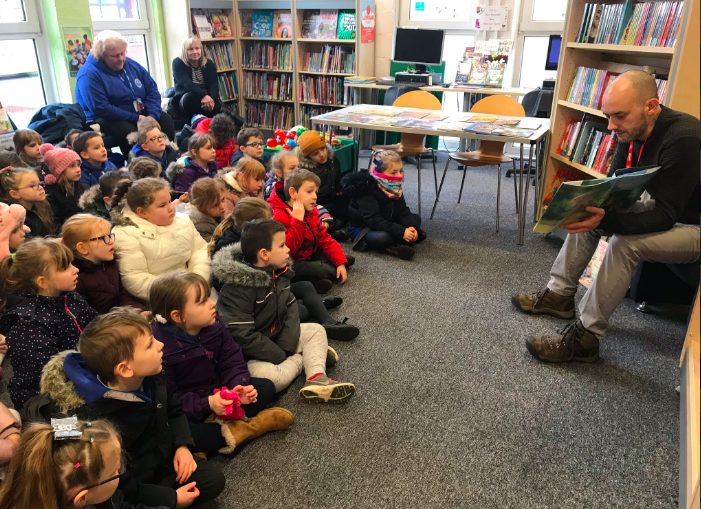 On Thursday 7th February we visited Pontarddulais Library. 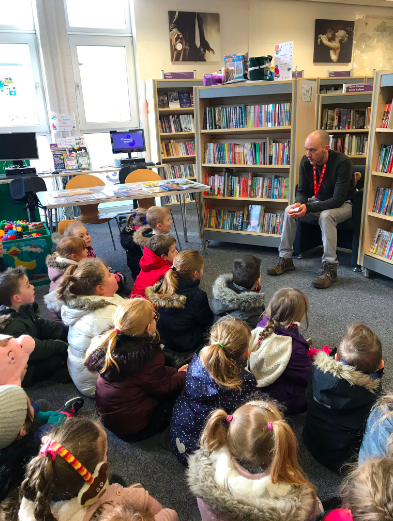 We had lots of fun listening to different stories read to us by library manager, Phil Hovvels. 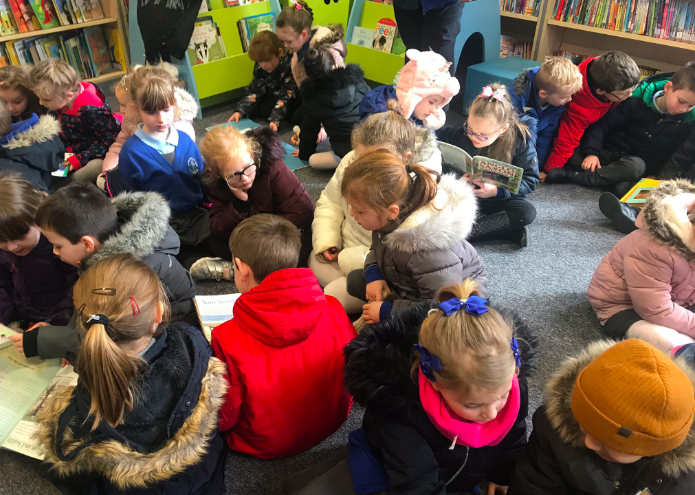 We started to look at the different information books that are available in the library to help us find out more on different types of houses and communities. We were very excited to take some of these books back to school to continue with our research. Today we read and discussed Chicken Clicking, which is a story that shows us how careful we must be when using the internet! 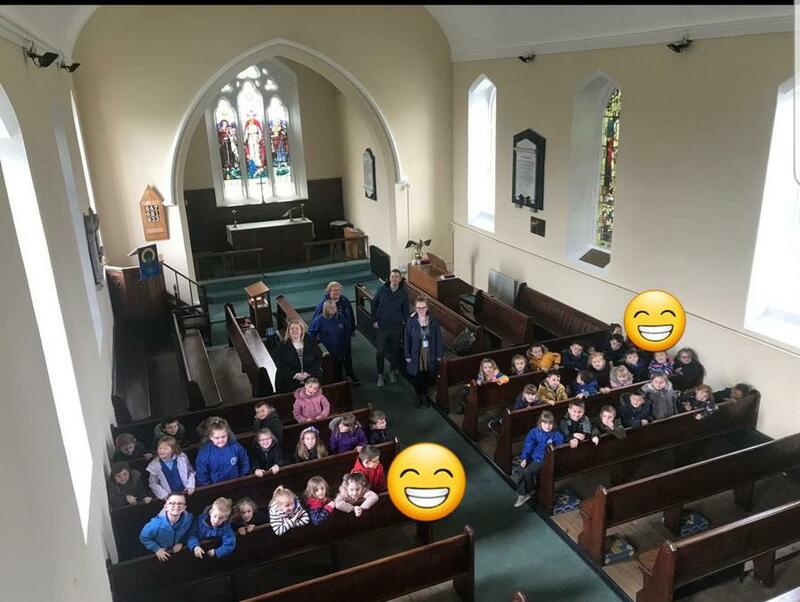 On Tuesday 29th January Year 1 visited Bont Elim church, to sing some songs and listen to a bible story! 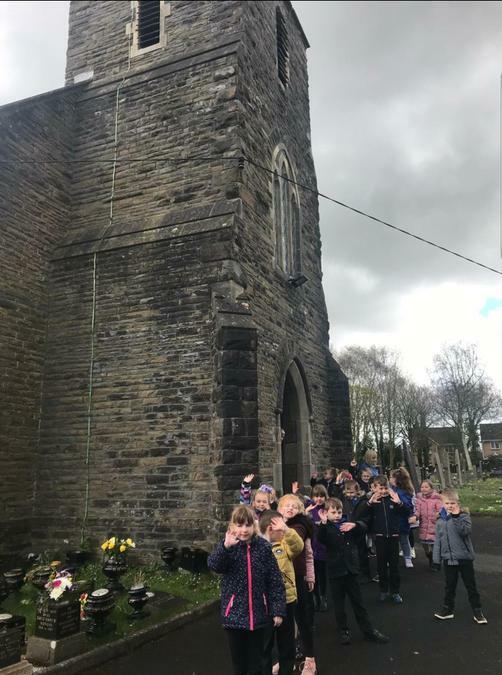 Thank you for having us Pastor Jason Beynon and Bont Elim! For the last two weeks, we have been working hard at home to create presentations about our houses. On Friday 25th January we presented our work to our classes. Da iawn blwyddyn un! 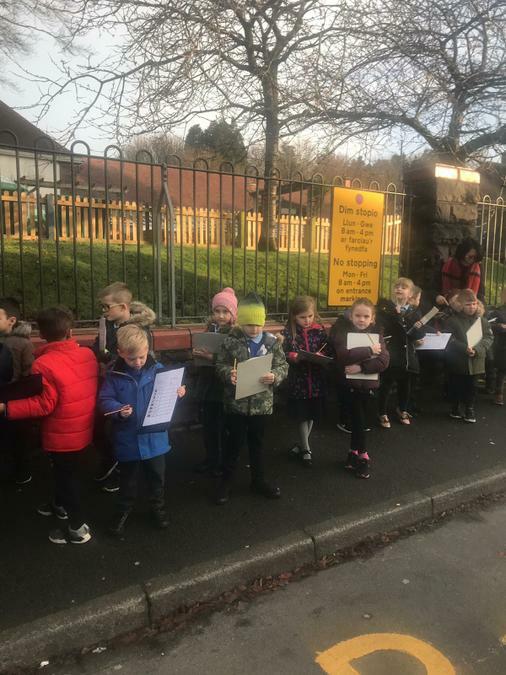 On Monday 21st January we walked around the streets of Pontarddulais to collect data on what type of houses we could see! 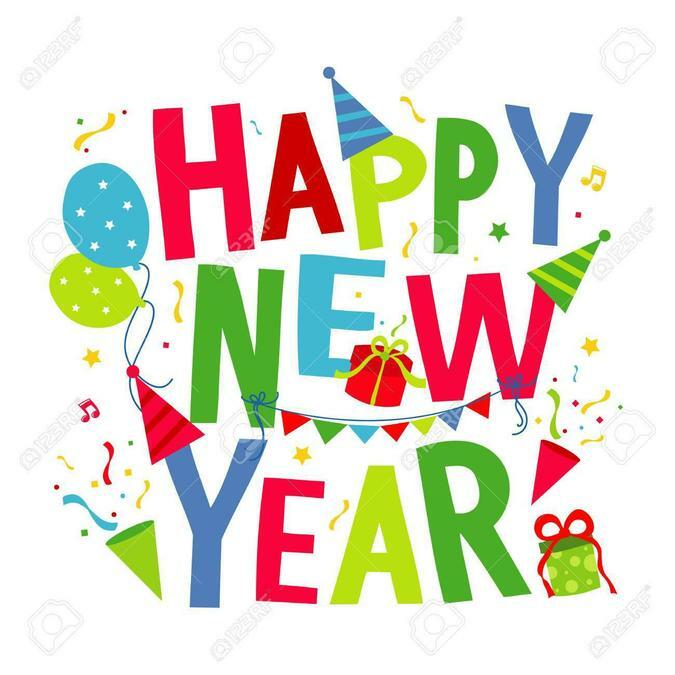 A very Happy New Year to all Year 1 children and parents! This is our new class page, which will be updated with important information and pictures of all of the fun things that we do!